“Flowers wilt, jewelry tarnishes and candles burn out…but chocolate doesn’t hang around long enough to get old”, Sr. Cocoa Loca. 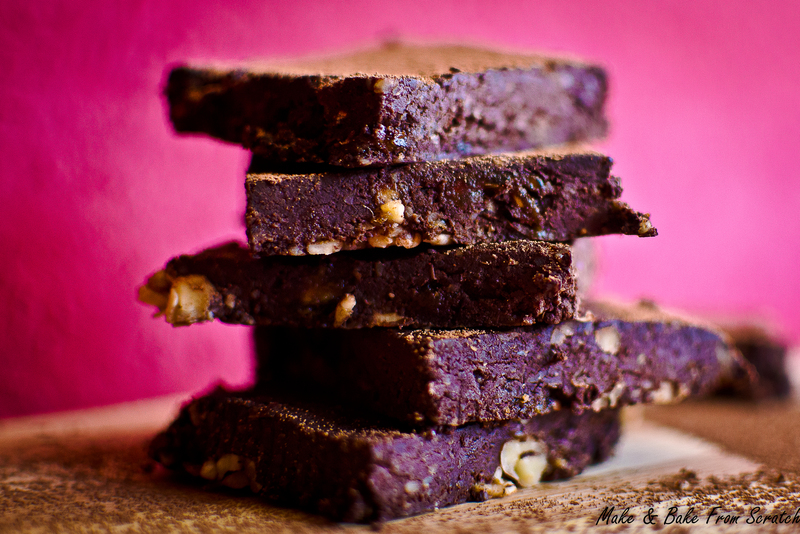 This brownie recipe is wheat free, gluten-free, dairy free, egg free and preservative free. It uses dates as a substitute for sugar. It does contain nuts, so if you have a nut allergy I am afraid they will not suit your dietary requirements. These are so easy to make and ready in no time to chow down. The orange, cardamom and cacao all taste delicious together. Cardamom “Queen of Spices”, is great for your digestion too. 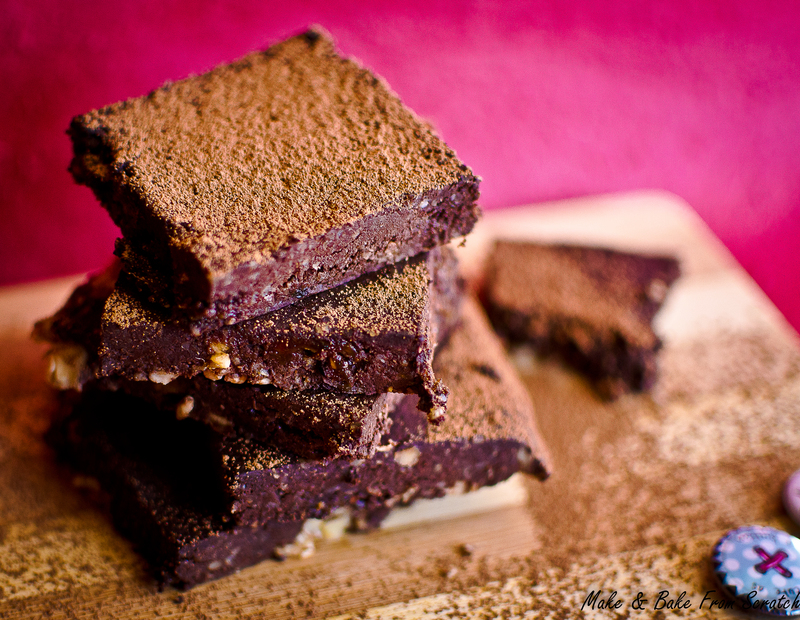 Raw cacao is a pure form of chocolate, packed with anti-oxidants to keep you looking younger. 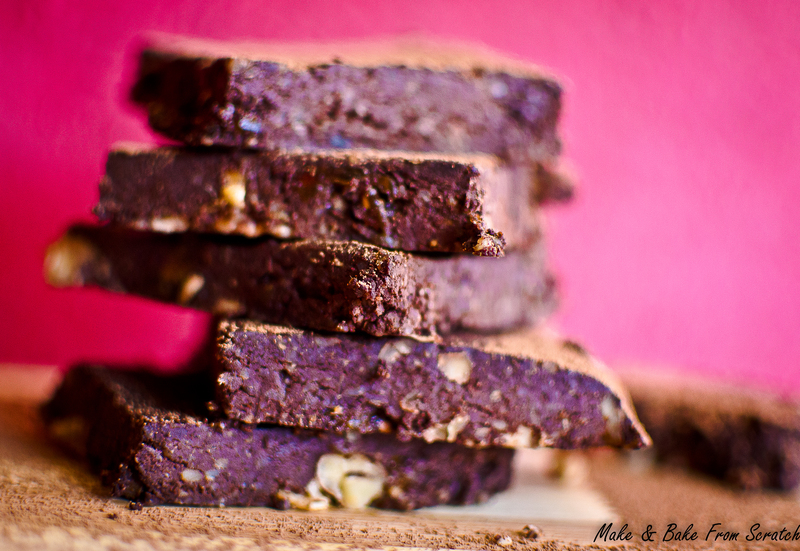 These brownies ooze a rich chocolate flavour and taste great with a black coffee. If orange or cardamom do not tickle your fancy then you do not have to use them in the recipe. You could get creative and add your own flavours, be inspired. If you have any left-over, pop them in an air tight container and store in the fridge. Pop walnuts in food processor, blend finely. Add to the walnut mix cacao powder, orange zest, cardamom powder, vanilla powder and salt, combine. Next, add dates, these will stick the mixture together and give it a sweet taste. Blend, until mixture is combined. Roughly chop almonds and walnuts or beat them with a rolling-pin in a freezer bag. On a flat baking tray lined with baking paper, evenly spread the roughly chopped almonds and pecans. Pour the brownie mixture on top and evenly spread the mixture with a spatula. Pop in the freezer for a minimum of 2 hours.